It’s hard to understand how huge Northern Lights actually are. The beautiful beams of light can indeed stretch thousands of kilometres across the skies and be simultaneously seen in many different lands. Even after witnessing the beauty of the Polar Aurora, it might be hard for some to situate it in the surroundings. On one hand, a weak Aurora can be very hard to spot and look no brighter than a greyish cloud on the horizon, but moments later it can grow and look like it’s ready to come down and swallow entire mountain-ranges. In practice, though, Auroras are much, much bigger than that. The arches one sees in the sky lie at around 80 to 100 kilometres over the Earth’s surface and the beams often stretch across the skies over hundreds, if not thousands of kilometres. 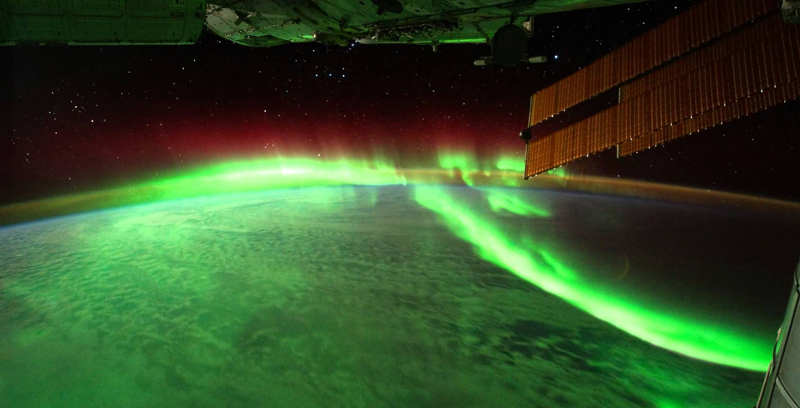 As a result, the same Northern Lights can be seen in far removed places simultaneously. To better show this phenomenon you can have a look at the following pictures: the left ones were taken in Iceland around Reykjavík and the ones on the right in Norway around Tromsø. In these shots, the same Aurora can be seen from two different angles, something that reminds us of the sheer presence of the beautiful Northern Lights. The 7th of December 2014 the Aurora was pretty hard to spot in Iceland but was much brighter in North-Norway. On the 7th of January 2014 the Aurora could be seen both in Iceland and North-Norway but was definitely closer to the former. While a dim Aurora wavered over the haystacks in Iceland the 28th of February 2014, a much brighter arch of light could be seen above the Fjords around Tromsø. Finally on Saint-Patrick's day 2014 the Aurora appeared equally bright in both Iceland and Norway! All in all the Northern Lights are one of the few natural phenomena that can be simultaneously experienced over large swathes of land. Still, the Aurora moves in a clock-wise direction so it tends to be first seen in Scandinavia before heading over the Atlantic. As a result, it sometimes happens that Icelandic Northern Lights Hunters call their Norwegian counterparts before starting the chase just to get a feel of what’s about to come. And weather permitted, when the Aurora starts to shine over them, the hunters know that even if they are in the most remote and secluded place there is, other people around the Northern world are also probably looking up at the sky with similar wonder.